Eight-time Mr. Olympia Ronnie Coleman used to say that tilapia 'thins the skin.' To look truly shredded before a bodybuilding competition, Coleman was saying you need to have a low body-fat percentage and be effectively dehydrated. The low-fat, high-protein, low-water tilapia is a superfood for this purpose. For the same outcome, Mr. Coleman might just try rowing in DC for the summer. 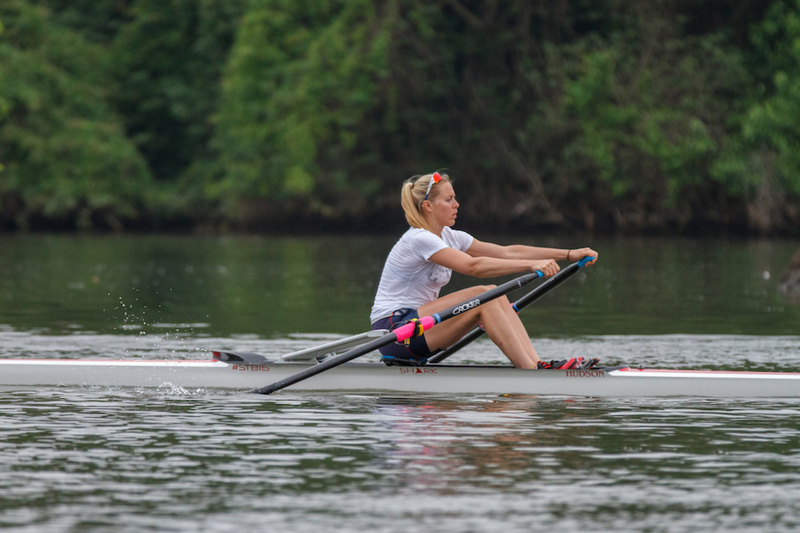 Some teams spend the entire season preparing for and attending only one regatta; perhaps a Club Nationals, or a Canadian Henley, or Masters Nationals. Especially in a Henley year, the PBC summer—for better or worse—tries a bit to be everything to everyone; like Hemingway's Paris, it's more of a moveable feast. That's why we kick it off with a brunch. Nay, not just any brunch—the Strawberry Brunch. A joint effort of Potomac's Social Committee and men's team for years now, it's the effective start of the summer season. In recent years, it has become more deliberate that it share the first weekend in June with IRAs and, the day after, the first local masters race of the season —the Stonewall Regatta—now 25 years strong. Hopefully Gonzaga's up for pieces before Youth Nationals, too. If any of you can think of a better race fuel than Belgian waffles, then you can keep it to yourselves. 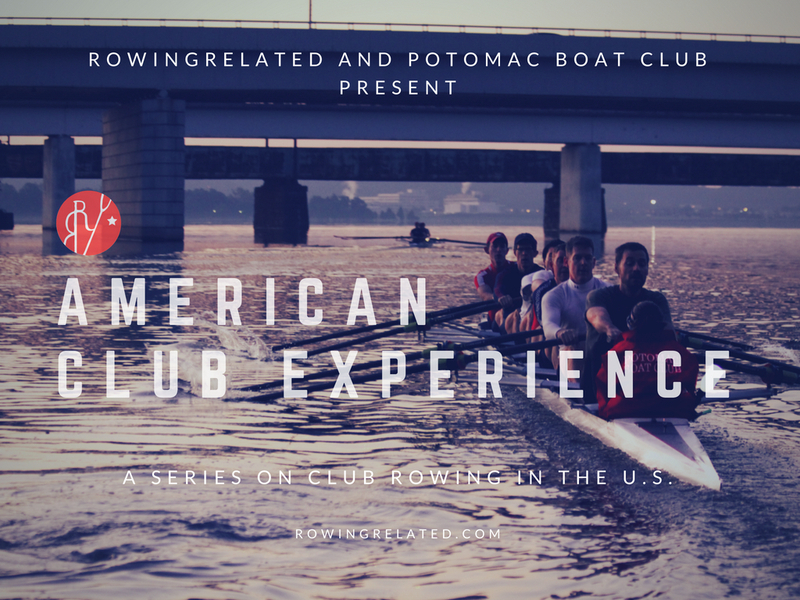 So what does a club summer in D.C. all about? Well take all the 1,000m-only masters regattas, overlay them with all the regattas that have the full 2,000m in addition to the 1ks (e.g., Independence Day Regatta), add in all the mostly-college-summer-programs events (Club Nationals) and then to really spice it up figure out when you're going to get some scrimmaging against Henley-bound squads or local rivals who don't cancel this time. Once that's done, expect that no one is going to tell you about their vacation plans until after they're in a lineup, in which case it's likely maximally inconvenient for the crew. After IRAs, NCAAs, and ACRAs wrap up, the undergrads start showing up (the class of 2018 is advised to take a little time off before the next phase of their rowing career). Some other summer programs are discreet, with a start and end and a fixed "get on board or don't show up" schedule. Those clubs are lucky. We don't run any "drop your 2k, race a few times, never see your teammates again," summer camps—at least we try not to. We're trying to attract our next generation of senior members. To do this, I've always assumed we have to be flexible and accommodating enough to hook athletes while they're here on internships downtown that turn into jobs in Virginia and grad school at Georgetown and a house in Bethesda and hopefully a drawer full of head racing medals won with us. They may become beautiful butterflies, but they all arrive as caterpillars. Well-meaning (dumb) caterpillars. "It's your loudest, coarsest, most coxing-from-seven-seat crew that'll get held up by a single sculler that needs help getting their boat out of the water, that forgets how to turn the hose on, and signs the log book before racking the hull." Luckily, not being able to provide much help in the way of employment or housing helps screen out the casuals and the lazy and the otherwise not-fully-cooked-for-the-real-world. The gain train never stops and you're going to have to hop on while it's underway; some athletes might have to run a little faster to catch it than others. On the other hand, anyone who's been slacking or hasn't been able to keep up with team progress is gonna find himself missing out when the music stops come late June. Even the lower boats in the lower finals at IRAs are training their asses off this time of year, and even guys running on fumes after the regatta will pull some easy wins over guys rowing three times per week for the past three months. Because, while each year we bring in a summer class looking for future captains and presidents, we still have to get Thames and Wyfold crews prepped, ready, and on a plane. The same for the eight guys going overseas to Henley Masters a week later. We have to convince Temple to enter the Schuylkill Navy Regatta on their way to Henley. And somehow we have to figure out how to run a team that, at least for the last week of June or so, will have a Thames Eight, Wyfold Four, Henley Masters Eight, U23 eight, and everyone else that wasn't selected into one of those. It's a good thing it'll be late June, because I'm fairly certain our showers will run out of hot water. Summer is three months of having the in-laws, the relatives, and the neighbors over—it's the opposite of having the club all to yourself. Folks that log zero rows the other nine months of the year squeeze in their minimum twenty, and they'll launch and land at whatever time is most inconvenient for our most obnoxious crew—somehow the crews that are polite, focused, and satisfied with the practice they just had always seem to be able to land quite smoothly indeed. It's your loudest, coarsest, most coxing-from-seven-seat crew that'll get held up by a single sculler that needs help getting their boat out of the water, that forgets how to turn the hose on, and signs the log book before racking the hull. This is an inexplicable iron law of docking in the summer; I can't explain gravity either, but I tend to count on both. Luckily, by the end of June, we're gonna get a bunch of guys out of the country. The racing is the thing, of course, but it's critical by then to get some people out of the house. Having 13 athletes whose problems you can't help solve (and thus you are wise to totally ignore) means you can focus on the game of Minesweeper that is who can make Club Nationals and which lineups to prioritize, who's going on family vacations when (that you just found out about), and who can make Independence Day Regatta—but only really wants to do one day—and how to figure out which day that is. A good summer medal haul first and foremost is the product of aggressive scheduling. A good comeback after time off should always play like the send-off in reverse, in my mind—which is why the best cure for the post-Henley hangover is racing on Noxontown Pond at the Diamond States Masters Regatta. 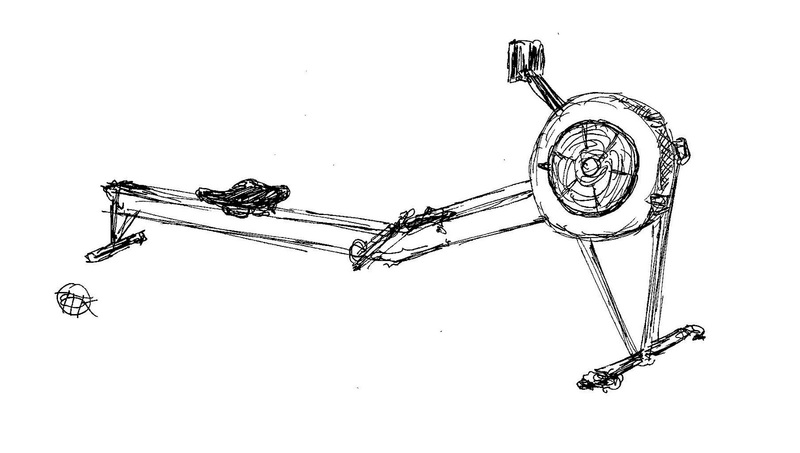 Any racing overseas demands some sort of refractory period, even for the most gung-ho erg monsters. The psychological burnout is real, and I look forward to strongly discouraging anyone from our Henley squad from trying to compete at Club Nationals two weeks later. No, the stakes need to be lowered dramatically, the course shortened, and a WaWa on the way. Certainly a few 1,000m pieces in one day will be less taxing (physically and emotionally) than the Catherine Wheel of Henley. And if the last strokes you recently took were celebrated with warm beer at the actual Catherine Wheel, well the ice keeping that twelve-pack cool melted in the hot Delaware sun before the Mixed "C" Eight so it should taste plenty English by now. And if you're coming off racing 1,000m pieces at Henley Masters and you're keeping the band together for the rest of the 1k season… take it easy on the rest of the field. They have families, after all. But whether you took time off or not, drink some water. It's DC in the summer, and you're sweating. A lot. Coming up next week: Going 'masters' or going faster, how to keep the bar high, and what it means to have 20-year-olds and 50-year-olds on the same team working toward the same goals.